My 3 Monsters: As a Life-Long Member of the Church of Jesus Christ of Latter Day Saints . . .
As a Life-Long Member of the Church of Jesus Christ of Latter Day Saints . . .
. . . this makes me laugh. A lot. Oh crap! Our secret is out!! Oh, that's classic. I love it. Hilarious! 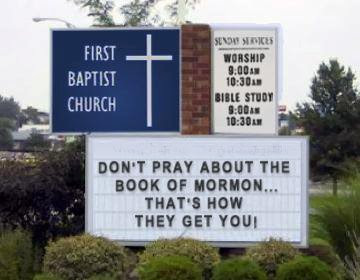 A church asking people not to pray - too funny. In Honor of Award Show Season . . .
"To Sleep, Perchance to Dream . . ."